At the 15th Francophonie Summit held in Dakar, Senegal the membership of the International Francophone Organization (OIF) officially inducted Michaelle Jean as the new Secretary General. She takes the place of outgoing Abdou Diouf. Jean is the first woman to break the glass ceiling at OIF, and in her acceptance speech said, "I understand the needs and expectations of member states and governments of the OIF . . ." Jean has made a whole-hearted commitment to planning initiatives with Francophonie Associations, including government bodies and civil society institutions. Now the Francophonie has entered the 21st century it is time to place more emphasis on the role women and youth play in a modern economy. By listening and asking for input from young adults and women, a new model of prosperity will gather momentum ". . . it will combine the increase in trade and human and sustainable development for all" Jean asserted. 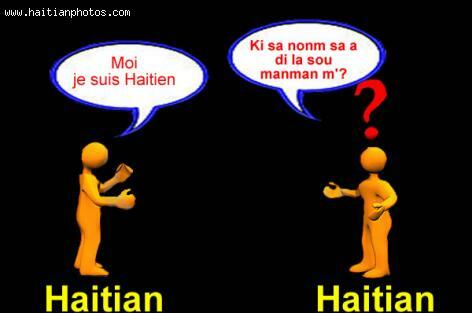 While French may be the official language of Haiti, Creole is what is spoken by over 90% of its citizens. However French is the language used to teach in nearly every Haitian classroom, yet instructors don't speak or write it fluently. Creole and French vocabularies and syntaxes differ to the point they are almost unrecognizable. People ask why continue an education system using a language uncomfortable to teach and learn in? Haitian Creole is perceived as an inferior offshoot of French and its speakers as having no fluency in French, when in fact they are speaking Creole. For students, not being able to master French means not being able to do well in their studies. Haiti is a country of 10 million, give or take. Of that number, more than 90% speak Creole. The constitution of 1987 mentioned Creole as the single most binding language among the Haitian people. Why then is it still marginalized, and why is French, spoken by only 10% of the population, still the dominant language in the professional Haitian world, to the detriment of the majority of the population? It is these issues that Jacques Pierre, a Creole Studies professor at Duke University, is asking in an open forum for his recent piece in the Miami Herald called 'Haiti's French/Creole Divide'. Like most countries in the Caribbean, Haiti's people speak their own blend of languages that is often very distinct from country to country. The problem lies in the class and social divide created by the different strata, in which those who speak Creole are labeled as unintelligent, and those who speak French are considered superior by virtue of the skill. 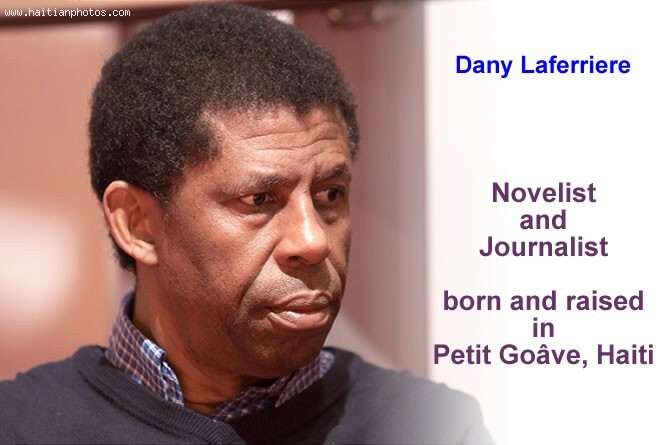 Haiti has grown in national pride with the election of Haitian-Canadian author, Dany Laferriere, to the Academie Francaise. President Martelly made the announcement of Laferriere's selection to the Academie public on December 12, 2013. It is a great honor for Haiti, Martelly said, that Laferriere who rose from Petit-Goâve to national prominence has now become part of an international community of renowned writers. Laferriere, a sexagenarian, lives in Montreal and has written more than a dozen novels and as many essays. His 2009 autobiographical novel, L'enigme du retour, which recounted his return to Haiti after his father passed away, nabbed the distinguished Prix Medicis award. His first novel, Comment faire l'amour avec un negre sans se fatiguer, was published in 1985. He later wrote the screenplay adaptation for the film. How many people , after being admitted to such a prestigious place as the Académie française would want the world to know of his humble upbringing? Someone like Dany Laferrière would and that is what made him so special. 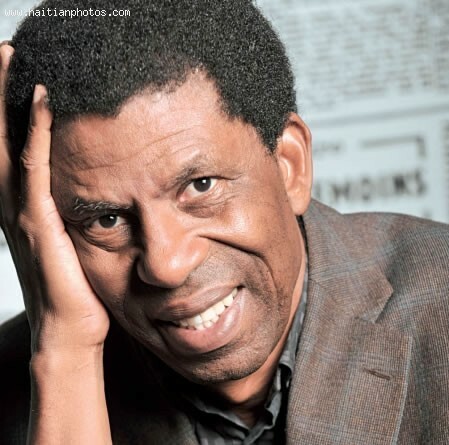 Last Saturday, Dany Laferrière who was just elected to the French Academy arrived in Petit-Goâve to share some of that success and his new fame. While in Petit-Goâve where he grew up, Dany Laferrière met several people who came to greet and congratulate him. He is now considered to be the pride of Haiti and especially the town of Petit-Goâve. He said that the city of Petit-Goâve had been his inspiration and actually played a key role in his writings. Mezanmi, me yon examp po montre kapacite Ayisien. Ekrivin Dany Laferrière konyer-a fè pati de gro tet yo nan institisyon sa yo rele "French Academy". nan Lang France, yo rele li:"Académie française"
Min Se Kisa li ye minm? Anbin, se yon group moun ki responsab pou yo veye sou devlopman Lang sa yo rele France-a. Akademi sa ginyin yon gro istwa deyè li. Li te kreye pa Cardinal Richelieu nan lanne 1635 (se pa de lanne). Akademi sa kompze de 40 mamb ki sipose rete pou jis kaske yo mouri. Alexandre Dumas was one of the most famous novelist and playwright known to the world. 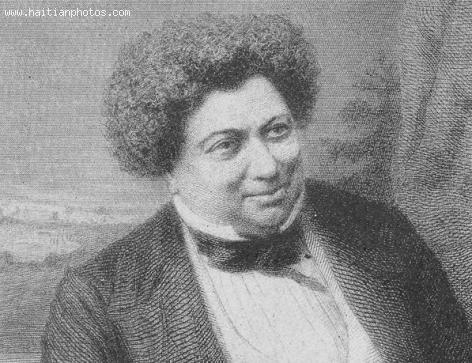 Born on 24th July 1802, Alexandre Dumas was a French writer whose work has been translated in over 100 languages. Some of his widely popular novels include names like The Three Musketeers, The Count of Monte Cristo, The Vicomte de Bragelonne: Ten Years Later and Twenty Years After. 20th century onwards, many of his novels have been adapted in well over 200 movies. Alexandre Dumas was one of the most prolific writers of his time. Capable of writing in multiple genres, Dumas' writing career started as a playwright and his first play was a huge success. The second play by Dumas was another hit which earned him enough money to get into full-time writing job. He wrote several travel books and magazine articles as well. Théâtre Historique was founded by Dumas in 1840 in Paris. 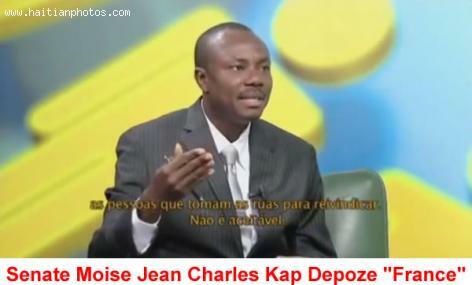 This is a video of Senator Moise Jean-Charles in a televised discussion that was held in French. The Senator of North was obligated to express himself in the French language. Senator Moise Jean-Charles received lots of critics for his ability to express himself in French. Senator Moise Jean-Charles is definitely a controversial figure in Haitian politic. He has been defending the mass and is in total opposition to the government of Michel Martelly whom he accused for corruption and drug dealing. When it comes to Moise Jean-Charles, you are either for or against him. If you are for him you likely love his message. On the other hand, if you don't agree with him, you likely have very strong feeling against his person. Why do Haitians have to speak French when they are cornered or caught lying? You probably think I am once again making this up; however if you haven't notice that, I am asking that you pay close attention to our leaders during their conversation. As a Haitian observer, I have been observing this for a while and I think it is about time that we talk about it. 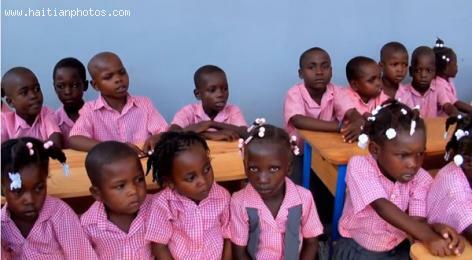 Haiti Education System is useless, show me otherwise! How many of you believe that our education system has a lot to do with our inability to change Haiti? Making us into: "Aristrokrat Dyol Printi"; "Ti France", "Mwe Pa Min Moun Avek-ou". To tell you the truth, these are what I see our education system is good for. Unfortunately, this is the most important thing I have learned from my education in Haiti.